Investment in Africa has typically been dominated by the US, EU & BRIC (Brazil, Russia, India & China) nations. Moreover, according to the World Investment Report 2018, Foreign Direct Investment (FDI) flows into African nations have fallen by 21% over the past year. However, one improbable nation outside the established providers of African FDI continues to buck this trend. The United Arab Emirates has long been renowned for investing a disproportionate amount of sovereign wealth abroad relative to equivalent economies. Over the last decade, large reserves of Emirati capital have continued to flow into a wide variety of projects across the African continent. For instance, in 2014 the Investment Corporation of Dubai invested US$300 million in exchange for a 1.4% stake in Nigerian run Dangote Cement. At the time of investment, the cement manufacturer comprised around a third of the Nigerian stock market. Further Emirati investment into Africa has involved a 40% equity stake of Air Seychelles, which was acquired by Etihad Airways in 2012. A 2015 Dubai Chamber of Commerce study concluded that East Africa was the second most attractive African investment area, after South Africa. The diversity of investment opportunities continues to draw investors to the region; from the tourism industry in Mozambique to the manufacturing sector in Ethiopia. Despite the aforementioned opportunities in East Africa, Emirati investment is decidedly pan-continental. For instance, Etisalat has become one of the largest players in the West African telecommunications market. The multinational has taken advantage of its 2014 majority ownership purchase of Maroc Telecom, by using the acquisition as a gateway to restructure its programmes in West Africa. By divesting from its Atlantique Telecoms and Prestige Telecom subsidiary holdings, the majority Emirati Maroc Telecom brand has streamlined its assets into a unified offering. To the extent that this restructuring increases the output of Maroc Telecom, the resultant economies of scale can be expected to lower average costs, further strengthening Etisalat’s position. Pan-Islamic banking has allowed Emirati financial services to penetrate deep into the North African economies. Already compliant with Shariah finance, Abu Dhabi Islamic Bank and Union National Bank are both active in Arab North Africa. With conventional banking growing in key places such as Egypt, their influence looks set to increase in coming years. In other sectors, commodity needs, rather than monetary gain, motivate the investment policy of the UAE. Indeed, as a nation which imports 90% of its food with little arable land to spare, investment in the agricultural expansion is motivated at least as much by food security as it is by commercial interests. The UAE’s neighbours are often in a similar position, and thus Africa offers an opportunity not only to secure the UAE’s own growing food demand, but also to astutely leverage any surplus when neighbouring nations face food shortages. For example, the Emirati agribusiness leader Al Dahra grows raw commodities such as fruit and vegetables in its plantations in Egypt, Morocco and Namibia for both Emirati consumption and international export. Sovereign Wealth Funds (SWFs) are a key way through which the UAE and other similar economies are diversifying away from an oil-reliant system. Proceeds earnt through these investments are used for domestic transportation, infrastructure and housing projects, creating multiplier effects in the local economy. This can be seen with the announcement that the Emirates have spent around US$42.5 billion of infrastructure investment for the upcoming Dubai Expo 2020, with a further US$8 billion more expected.. Reinvesting returns from SWFs domestically allows the Emirates to better secure the resourcing needs of its population. Furthermore, this also increases domestic labour demand and the infrastructural means for continued economic growth. Business in the UAE also differs from other regions. Most of the examples in this article are at least majority government owned, such as Etihad Airways, Emirates, Abu Dhabi Islamic Bank, Al Dahra and Etisalat. This leaves most Emirati business with a dual obligation; unlike a typical Western capitalist arrangement. Linked to the government, such businesses not only have a mandate to increase profit and revenue, but also to fulfil certain domestic employment obligations. Internationally, the UAE’s overseas acquisitions form just part of a six-pronged programme released by the UAE’s Soft Power Council (SPC), aimed at building Emirati influence across the globe. The ongoing Qatari diplomatic crisis has evidenced the increased volatility of a previously stable region, as well as the need to build open relationships globally. The SPC’s main objective is to promote economic advancement and to further the UAE’s position as the main gateway to the Middle East. Key to this strategy is also to build links with the developing world, by introducing nations to the model of development which has transformed the Emirati kingdoms into the metropolitan powerhouses they are today. Indeed, Sheikh Mansour recently noted, “We have developed in a remarkable way and can offer a model for development for many other countries around the world”. The UAE has begun to face challenges in its African expansion however. The Horn of Africa, long a focal point for Emirati maritime interests has seen a shift in the balance of power, down to the UAE’s desire to balance too many diplomatic relations in one sensitive area. Having previously built a shipping port in Djibouti in the 90’s, relations became strained as Djibouti rejected the UAE’s offer to build a military base in the country (a permission which had been granted to China, France and the US). This was likely due to the UAE’s ties with Eritrea, long an adversary of the Djiboutian government. The UAE began the construction of a military base in Assab, Eritrea and a shipping port in Berbera, Somaliland with the intent of rivalling Djibouti’s bustling port now working at close to full capacity. The move has not only ruffled Djiboutian feathers, but also angered Somalia who claim Somaliland as part of its sovereign territory, and view the construction of the port as “belligerent and illegal”. With further infrastructure development planned until at least 2020, the outlook for UAE FDI in Africa appears bright, yet heavy handed policy in East Africa threatens to disrupt the long planned efforts of increased Emirati cooperation with the countries in the Horn. 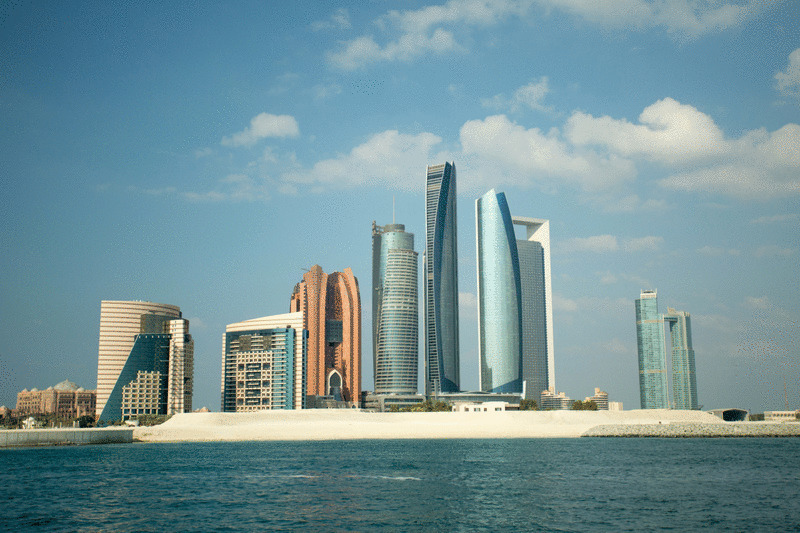 With successful business and power politics entwining in the UAE’s growing influence in Africa, Abu Dhabi would be wise to proceed with caution as it attempts to weave its way into the fabric of the African economic and political scene.